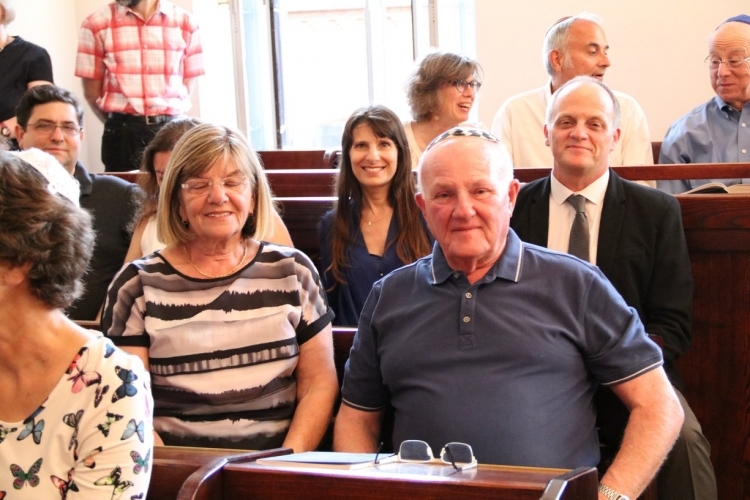 On an EL AL plane coincidentally named "Ra'anana" a delegation of 21 members from the Kehila Masortit BeRaanana Amitai landed in Berlin at the end of May for a four-day visit to the local Conservative community. 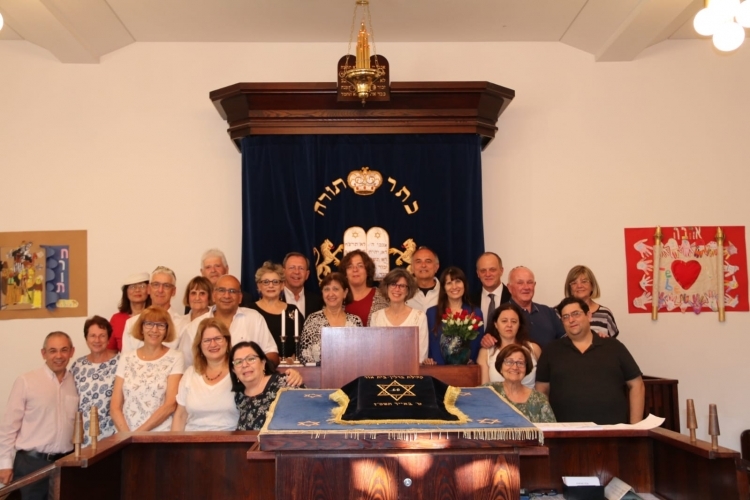 This "Shabbat together in Berlin" was organized and also attended by the Kehila's Rabbi Gustavo Grunzweig and by the Chairperson Moritz Kleinman. Being the first visit of its kind within the framework of the Masorti Movement's "Rav-Siach" program, a great importance was attached to it and it was meticulously planned, thought being given to each and every detail. 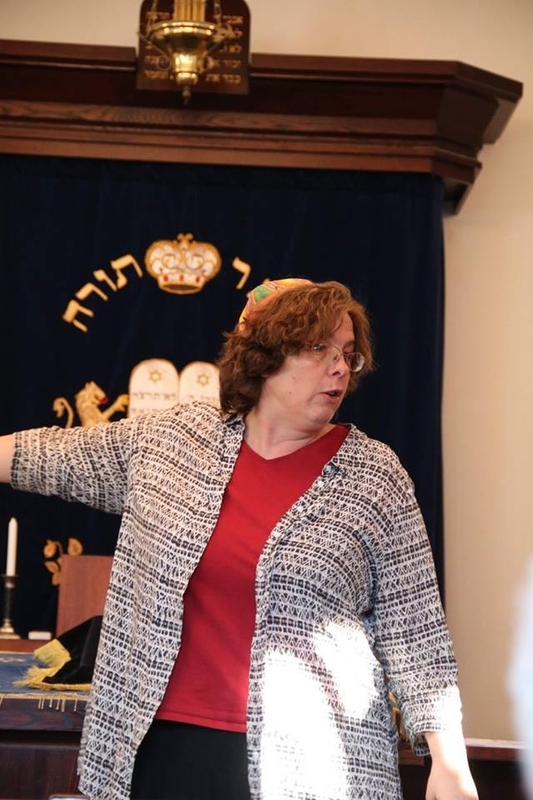 Being together with the Berlin community's Rabbi Gesa Ederberg and her congregation, together with other guests from abroad, for Kabbalat Shabbat and Shabbat services was particularly significant and moving. Rabbi Gustavo and Rabbi Gesa met with members of the two communities in separate discussion groups, fascinating encounters. Issues and dilemmas were raised, among other things, relating to the challenges facing the leaders of the communities in a changing world. On Shabbat in the afternoon Prof. Nils Ederberg, Rabbi Gesa's husband, led a walking tour of the historic Jewish Quarter which is adjacent to the synagogue in Oranienburger Strasse, pointing out and relating the history of the buildings and institutions which served the Jewish community of Berlin. We were particularly moved by the magnificent domes and facade of the synagogue itself. Sadly, the 3,200 seat synagogue was destroyed and has only been very partially restored. The dome of the synagogue building stands out in its beauty and appearance, a landmark visible for miles, emphasizing the triumph of the Jewish spirit against the forces of darkness aimed at the annihilation of the Jewish people. 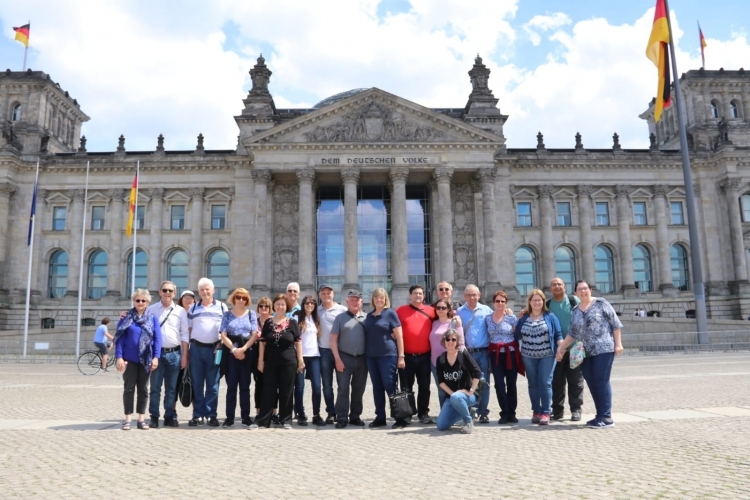 Other guided tours of the city included the Holocaust Memorial, the Jewish Museum and many of the historical places in the city, many of which have particular significance for the Jewish people, and all of which are displayed in a free, open, transparent and educational manner. By chance, on the Sunday, we got caught up in huge demonstrations in the city for and against the burning issues on the agenda in Germany. This, too, demonstrated to us the strength of democracy and the total change the German people have undergone. We have learned that tightening the connections between the communities in Israel and the Diaspora is of paramount importance to strengthening the standing and status of the Conservative community in Israel. We also found that our communities can learn much from each other and thus promote fruitful Jewish dialogue on our culture and its diversity. Today, Israel and its communities can create meaningful connections, producing added value and cooperation on various levels. With great satisfaction at the outcome we see this visit as a breakthrough for further similar initiatives.